Have you ever been to the Horse Park of New Jersey? Residing on 185-acres, it has become the destination for equestrian enthusiasts of every discipline! The park opened in 1988 as a Not-For-Profit, Charitable, Educational organization, and has continued to host events and shows through the generosity of sponsors, members, and volunteers. The Horse Park has started the process to renovate their arenas, with the first upgrade and new footing refurbishment of the grand prix arena revealed this week during the Jersey Fresh International Three-Day Event. 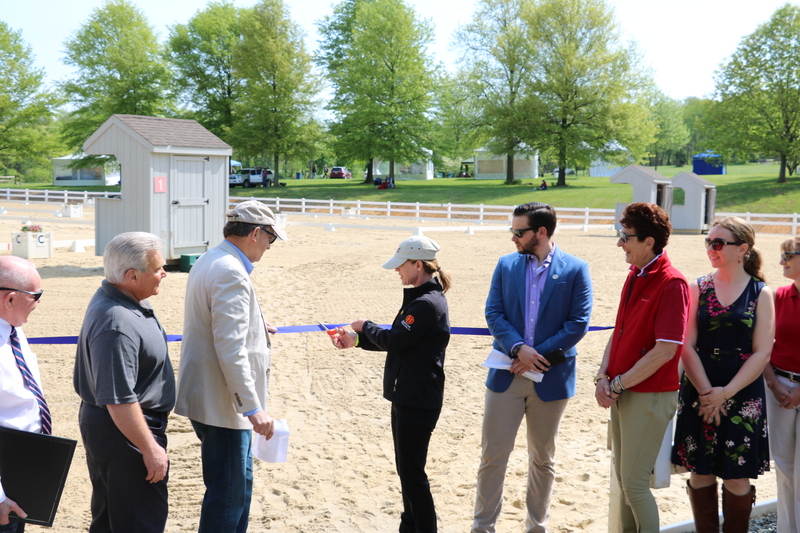 The ribbon cutting ceremony took place on Thursday, May 10th, when dressage tests were in full swing! Many renowned two-legged people were in attendance, such as New Jersey Department of Agriculture Secretary Doug Fisher & Equine Specialist Lynn Matthews, and New Jersey Assemblyman Ronald Dancer. Other equine representatives, such as Horse Park of New Jersey President Allyson Jeffery and Vice President Adam Furlong participated in the reveal! Horse Park of New Jersey President Allyson Jeffery cuts the ribbon to officially open the arena beside Vice President Mr. Adam Furlong (right) and NJDA Secretary Fisher (left). In addition to the arena transformation, the Horse Park is celebrating 30 years of service to the state of New Jersey! With Jersey Fresh being the first event of 2018, you want to be sure not to miss the excitement of the 3-day event. You can purchase tickets for the cross-country event on Saturday online or at the gate. Riders from 7 different countries have travelled to the Horse Park to compete and qualify for the World Equestrian competition, which will take place later this year. 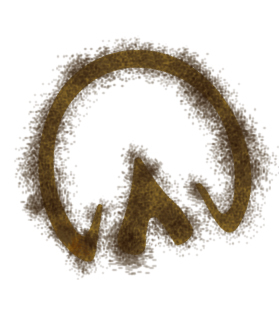 Hope to see you at the Horse Park this weekend, May 11th-13th! Microchipping 101: It's Not Just For Dogs!